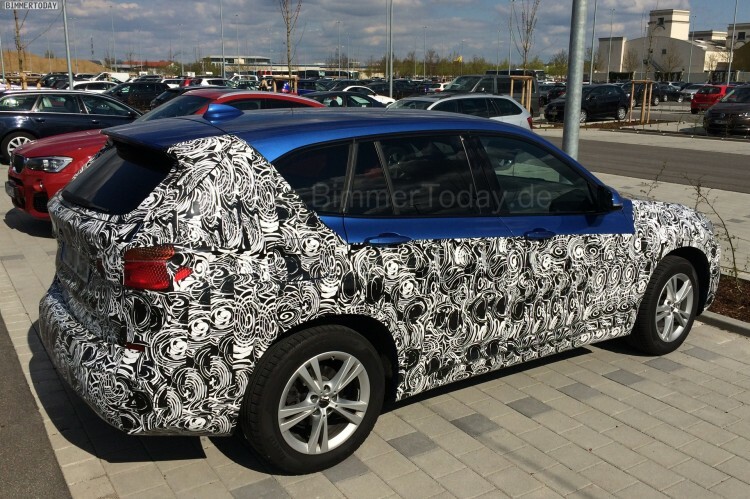 The second generation BMW X1 was spotted in Germany once again. The prototype spotted in Germany features the M Sport Package and its staple color, the Estoril Blue Metallic. 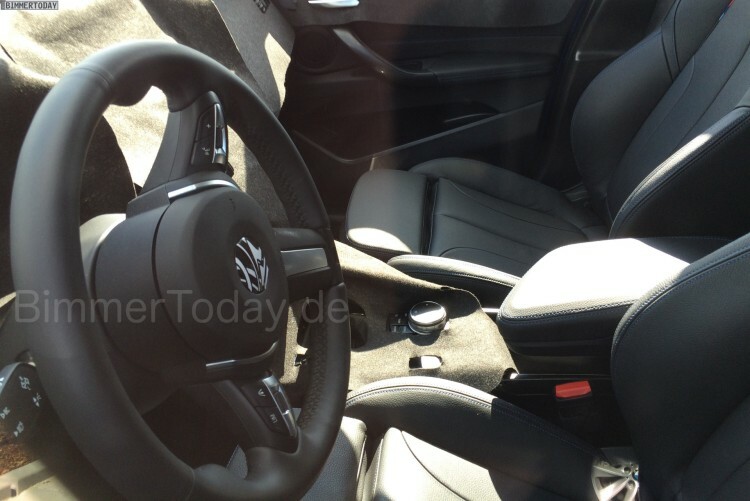 Close up spy photos not only highlight the exterior design but also let’s us peak inside the cabin where we can observe the sports steering wheel specific to M Sport Package. In the center console, we can see the iDrive Touch. As the photos confirm, there will be no direct link between kidney and headlights, as seen on newer BMWs. The headlights are narrow, therefore the kidneys look sportier and beefier than before. The front fascia is dominated by three large air intakes giving the new X1 a very act confident look and stance. On the side of the car, we will see the Air Breathers that are now part of the BMW’s DNA. 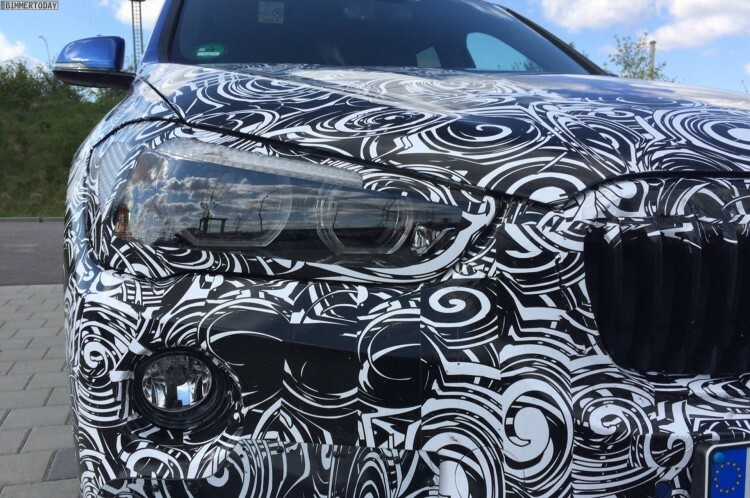 The character line is also more prominent running across the entire car separating the shapes and creating a 3D look. 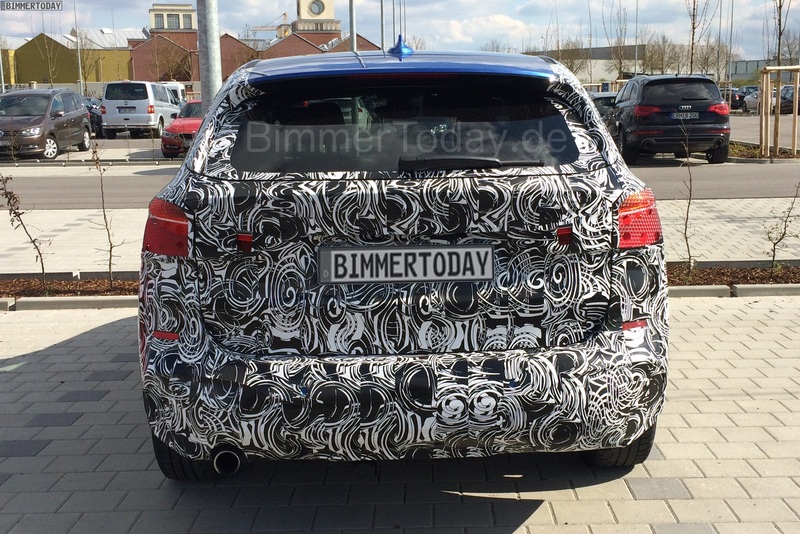 In the back, the 2016 BMW X1 sports the typical BMW L-shaped taillights, now with LED strips. The new F48 X1 will make use of BMW’s first front-wheel drive platform which can be configured to offer an all-wheel drive option as well. To gain space and also to feature more attractive and well proportioned design lines, the BMW X1 will take advantage of the FWD setup which offers more interior space. 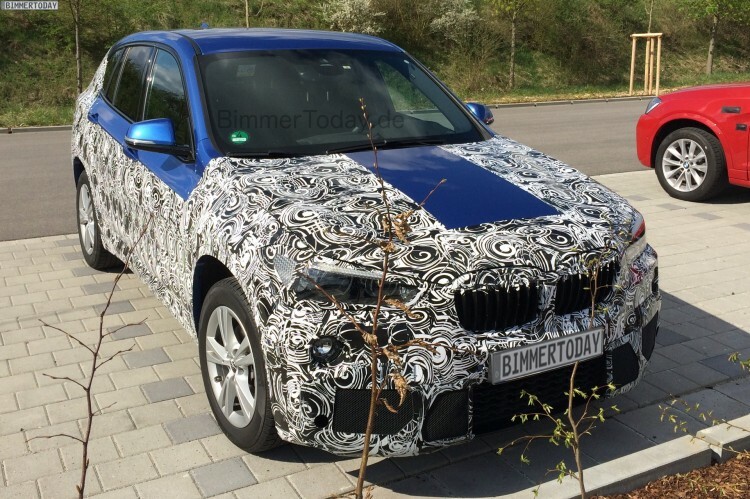 The 2016 BMW X1 will dip into the range of engines, all turbocharged, from the new MINI and the 2 Series Active Tourer. Logically, we should find the new three-cylinder 1.5 liter with 136 hp and four-cylinder 2.0-liter with 231 hp. A 2.0 liter four-cylinder 150 hp diesel will be offered as well and most likely another more powerful diesel model will join the X1 lineup too. A six-speed manual and a ZF 8-speed automatic will send power to the wheels. A plug-in hybrid based on the recently unveiled eDrive platform will be included in the offering also. We expect to see a three-cylinder 1.5 liter engine assisted by an electric motor with a total power output of around 190 hp. 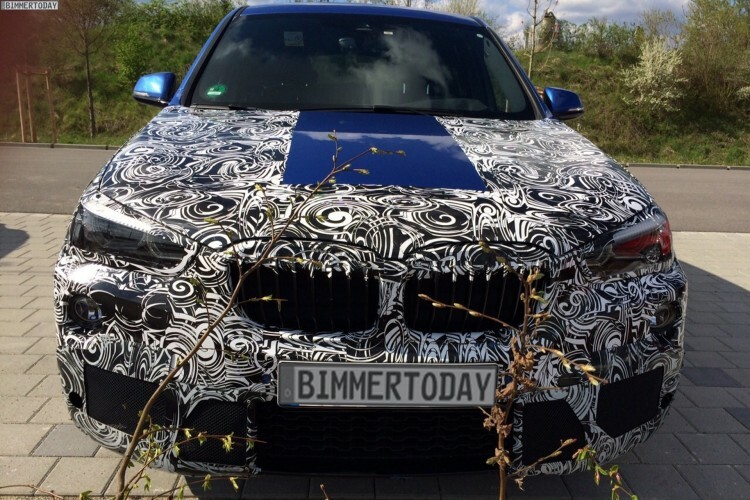 An X1 M35i is also schedule to be unveiled in 2016 producing around 320 hp from the B48 engine. First deliveries will start this fall.